The French philosopher Jacques Derrida remarks somewhere that ‘one should not develop a taste for mourning’. I’m sure that’s true, but it may also be that, in some utopias, one mourns too little rather than too much; and Morris’s News from Nowhere may be one such example. We hear of deaths in Nowhere caused by sexual jealousy and violence, but we don’t actually see any of that at first hand; and though Phillippa the carver, as we learn, has been quite seriously ill, far from that proving terminal she is back to something like full strength as she works on the new house on the upper Thames. Yet one powerful way in which utopia might win us over to its values is to demonstrate to us, existentially and on the pulses, that dying and mourning in a genuinely cooperative society are much less painful and lonely than they are in our own capitalist present. 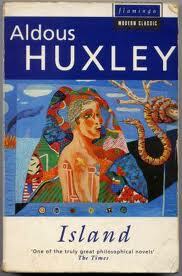 We would need to turn to Aldous Huxley’s beautiful utopia Island (1962) to see that lesson being enforced. For among the utopians of Pala, Susila MacPhail is grieving for the death of her husband in a rock-climbing accident just four months earlier, and her father-in-law Dr Robert MacPhail is not only mourning his son’s death but also has to live through the actual dying of his wife Lakshmi from cancer in the course of the book. These are, in Huxley’s own term, ‘lessons in thanatology’ which test the Buddhistic values of the Pala utopia almost to breaking point, but which they do in the end successfully encompass. And no sooner have we, as readers, lived through these experiences of death and grieving with the characters than we are subjected to a short sharp thanatological lesson of our own too. For as Colonel Dipa’s soldiers move ruthlessly into Pala at the end of the book, we learn that it is not just individual utopians who can die, but utopia itself, swept away as it is here by a toxic combination of oil-addicted Western consumerism and Third World dictatorship. When I was writing More News From Nowhere (set in a decidedly low-tech update of Morris's Nowhere), I knew I had to deal with how the utopians would handle death. But the advantage of making up one's own world is that one writes the rules; in this case the dying get to decide how they want to die. Unfortunately, our own dystopian world does everything it can to delay death (for some), but make dying generally undignified and more unpleasant than necessary for most. Recent efforts at fostering hospice care ameliorate these conditions somewhat, but they're not available to everyone. Thanks for reminding me about Island. I recommended it to a student last winter when I was teaching a technology and utopia class, but haven't read it myself in years. Time for another look; it may well serve as an anodyne for current conditions this side of the pond. Thanks also for visiting the Farm and for your kind words. Dear Owlfarmer, thanks for your comments. Will have to sit down and read your 'More News from Nowhere' through this summer; watch this space! It's a good time for another look at Huxley's 'Island', by the way, since next year will be the 50th anniversary of its publication; we're planning to hold a commemorative Morris Society symposium on it in London in May 2012. As I should also have remembered, the issue of one's manner of death is also a very important one for Thomas More's Utopians. Worth remembering too that in Samuel Butler's satirical utopia 'Erewhon' anybody who suffers the loss of a loved one is in danger of finding him or herself tried before the Personal Bereavement Court and of facing a long jail sentence for their misfortune! See chapter 11.